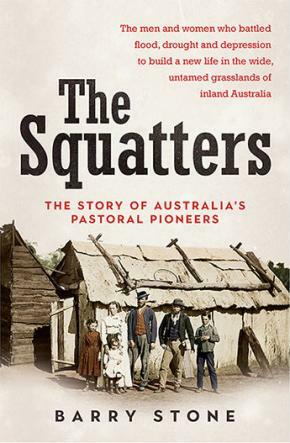 Fascinating stories of the indomitable men and women who established the first cattle and sheep properties that became the foundation of a prosperous nation. For the early settlers who came from Britain's crowded cities and tiny villages, it must have been extraordinarily liberating to pack their belongings onto a bullock dray and head beyond the reach of meddlesome authorities to claim new land for themselves. Settlers spread out across inland Australia constructing windmills and fences, dry-stone walls and storehouses, livestock yards and droving routes, the traces of which can still be seen today. The fortunate and indomitable succeeded, while countless others succumbed to drought and flood. Those who were successful became a class all their own: the scrub aristocrats. Barry Stone has scoured through diaries, journals and newspapers, and sorted myth from legend. He tells the stories of pioneers whose vision and hard work built pastoral empires running thousands of head of stock, providing meat for a growing colony and wool for export, a rural juggernaut that would lay the foundations of a prosperous nation.